Okay, I may be rushing to the “bleeding edge” where I don’t usually go, but I did it. I upgraded from OpenOffice to LibreOffice 3.3 which just came out today. I’m not usually so impetuous, but I have been following the discussion on the Web about the concerns people “in the know” have said about this year’s acquisition of Sun Microsystems by Oracle. That meant OpenOffice was theirs, too. I’ve grown uncomfortable with the negative potentials for OpenOffice with so many of its lead developers becoming disconnected from it. It opened my main spreadsheet which I use daily. I’ll need to test more, of course. I’m a fan of Free Software. I’ll keep you updated on how things go. The New York Times uses an article from the Public Library of Science journal, PLoS One. It’s another step towards the standard of openness. The study reveals that parallel brain activity of both sides of the brain allows experts to analyze a chess problem more quickly than novices whose left brain does the work. That’s interesting. But what excited me (I’m excitable, I guess) was that the New York Times was reporting on a study written up in an open access journal. 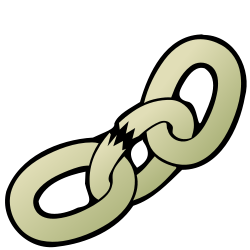 In the case of PLoS One, the articles are published using the Creative Commons Attribution License (cc-by) which makes the information immediately and deeply accessible to all of us. CC-BY allows reuse, reworking, republishing and more; as long as the original source is acknowledged. Such work is what education needs. Teachers and students benefit. Learning becomes easier. Copyright issues are avoided. Attribution is easy to do and helps to teach the difference between copyright, copying and plagiarism. Those noble goals are going to be easier to achieve as mainstream publications like the New York Times refer to articles like this one. PLoS even makes it stunningly easy to do the proper attribution. A link at the right of the article’s web page gives the following citation. That slight change of direction is what we need in educational technology, too. Free Open Source alternatives exist for many of the locked down, proprietary tools in common use for education. It wouldn’t take a major educational upheaval to switch. It would take a “5 degree” change of direction. Start by installing (get your tech staff to read this) an open source program which gives students freedom to learn both in your classroom and at home. Do it this week. Don’t wait until next year. Start the effort today. Choose from the hundreds of good tools out there. Install it at home. Learn how it works. Write a little lesson which uses its power to enhance a common core skill. In a recent blog post, “Single Point of Failure” David Gerard hopes Wikipedia has NOT succeeded in becoming an encyclopedia monopoly. In spite of many teachers’ objections that Wikipedia isn’t to be trusted because it isn’t perfect, students and their parents use it as a first stop. Often a Wikipedia article is at or near the top of the first page of a Google search. I encourage you to read the post. It says a lot about being open as a path to success. “Imagine a world in which every single human being can freely share in the sum of all knowledge. That’s our commitment.”— without us having to do every bit of it. And really, that mission statement cannot be attained unless we make free content normal and expected, and everyone else joins in. Moving to Open Source Software in Schools is glad to endorse the recommendation that free and open educational content is the “normal and expected” method of information creation and distribution. Are you organizing your creative teaching materials, preparing to give them to the world? 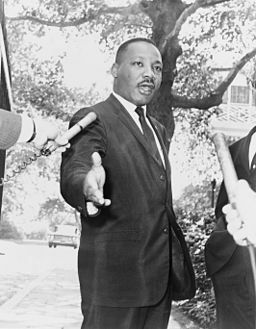 “I have a dream.” are the famous words of Martin Luther King, Jr. Today is his birthday, and it is recognized as a national holiday in the United States. Schools are not in session. It is a perfect opportunity for reflection. King foresaw equality of all, not only in the sight of law, but in the view of individuals looking openly at one another. We aren’t there yet. The dream is yet to be realized. However, the dream isn’t a simple wishful idea. Every day, not just on this holiday, people work to accomplish practical steps toward the dream’s full realization. I, too, have a dream. It isn’t nearly so fundamental. Individual equality trumps all other dreams. My dream is smaller, but also broad in its hope. I dream that education will play its proper role within M. L. King’s dream. I dream that children will not only start out eager to enter school, but will develop that love of learning throughout their school years. I dream that children will mature into teens and then into adults with open minds and open hearts, eager to advance in their own skills and are happy to share instead of meager and miserly in their treatment of others. I dream that we are driven by personal development, not by grasping competitiveness; me, me, me above all others. I dream that free open source software opens doors for all, that it isn’t controlled through corporate power grabs, patent limitations, and greed. Well, I missed the moment. 11:11 on 1-11-11 passed about seven minutes ago. It would have been a minor celebration moment for me, anyway. I’m not much hooked to numerology. I’m more satisfied with my basic numeracy skills. I’ve missed several such moments over the years. I remember noticing my odometer when it read 66668. For what it is worth, I also missed 99999, too. The car did last me well into the 150,000 mile range and 14 good years before I drove it to the car dump. As a measure of its gratitude for finally being retired, the car waited till I got there. The moment I was done with it, though, I opened the driver’s door to get out of it for the last time, and as I stepped out, the hinge let go and I couldn’t close it. Fortunately the people at the dump didn’t mind. They still took it. What does this foolishness have to do with open source? Maybe not much, but it does bring to mind the rise and fall of projects. Specifically, this month marks the end of life for a collaboration project called Dimdim which was purchased by a company called Salesforce.com and if you were a user, you are stuck now. Salesforce.com dropped the product and its developers hadn’t released updates to the open source version of Dimdim since 2008. Projects come and go, of course, but what does a person do when trying to deal with archival files? I’m in the midst of a project to publish the MassCUE minutes from my days as the organization’s secretary. I’m going to be putting them into two formats. ODF and HTML. Some of the files are currently in Mac formats from the days of Clarisworks/Appleworks. Some are in ASCII text format, some are Microsoft doc files. I’m working on an Intel powered PC with Kubuntu GNU/Linux operating system. The Mac files open in OpenOffice, but they are full of stray characters which were important to the format used on the Mac. OpenOffice doesn’t have an import filter which can handle the automatic removal of those bothersome character groups like ##3BF; (no I don’t know what they represent). I am manually deleting and processing the files. Anybody out there have a tool to recommend? It needs to run on GNU/Linux and be FOSS, of course. What is your choice of format for the best way to store archives of files that are mainly text? Am I on the right track making HTML versions? Will that stand the test of time? How about ODF. Should I stick with ASCII? 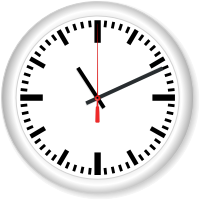 Thanks to user fzap on openclipart.org for the original clock graphic in SVG (Scalable Vector Graphics) format. It was easy to take the original time and modify it using Inkscape so it illustrated this post. The graphic serves as a great example of the value of both open documents and the available open tools to modify the documents to our needs. Even more coincidental, the original use of the clock illustration was for a Mac! The United States turned down the international standard for measurement and stands alone using the foot, gallon, pound and Fahrenheit degree. Will our stance on software be similar? Will we let corporations decide what is good for us? When I was a middle school science teacher during the 1970s, there was a brief period during which we were asked to teach students how easy it is to use the metric system. Just like our decimal system for counting (10 fingers, after all) the metric system offered simple relationships among the measurements, and children learned it easily. Nonetheless, the effort was brief. Industry rejected the recommendation, saying it would be prohibitively expensive to make the machinery conversions, and besides, everybody already knows the current “English” system of measurements. Of course, losing the opportunity didn’t mean nothing changed. Look around. Find out what size your soda bottles are. They are almost all based on a metric liter. There are no quart, half gallon, etc. in my grocery store. Most loyal Americans seem to buy Hondas, Toyotas, Mazdas, etc., etc. whose bolts are metric. Did the U.S. citizens suffer from that silent conversion in the automobile industry? A quick check of the Wikipedia page on “engine displacement” indicates that since the 1980s, the industry has adopted the Liter as it’s main volume measure. Right now, the common software base is Windows. If a program runs on Windows, people claim to know how to use it. If the same program runs on GNU/Linux, is it any more difficult? Schools are the place where expectations are often set for the future. Is your school tying students to a Windows expectation? It it Macintosh that fills your classrooms? Are you teachers and your students shills for the proprietary formats of Microsoft and Apple, Inc.? Of course, the masters of the school computers aren’t the students nor the teachers, not even the early adopters. Most American schools are locked into the choices made by district administrators or worse, by the tech staff. During the early days of computers in the classroom, the 1970s and 1980s, teachers who jumped at the chance to have a computer made more decisions than they do today. We are stepping backward. Progress is in the hands of the tech staff and administrators who control the money. It isn’t the hardware which makes a computer useful. It is the software. As a teacher, are you allowed to bring an old computer into your classroom for students to use, even if it is a Windows or Mac machine? I know of teachers who had to give the computers they brought in to the school which took control of the software installs just as much as they did the hardware. Where is your software freedom? Do you have any? Even if you are a tech savvy user, can you get any of your classroom computers set up to provide software freedom for yourself or your students?